Each year Pi Day is celebrated on March 14th to represent the first three digits of Pi (3.14). 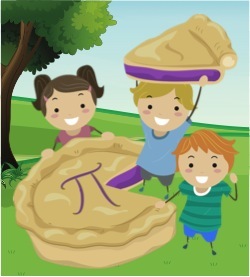 To help celebrate Pi Day at your school or at home, try these nature-based pi activities. Pi appears in every circle, including those found in the natural world. Pi, also written as the symbol π, is the ratio of a circle’s circumference (distance around a circle) to its diameter (distance across a circle passing through the center). It is an irrational number meaning it cannot be written as a simple fraction and the decimal goes on forever without repeating. Though it is often written as 3.14 in calculations, its exact value is unknowable. 1. Start a scavenger hunt to find applications of Pi in nature. Take your students on a shape walk and see how many circular shapes your students can find in nature. 2. Find the circumference of a seed pod, a tree, or a flower. Have students make calculations using Pi by taking measurements of natural, circular objects. Where “C” is the circumference of a circle, “d” is the diameter, and “r” is the radius. 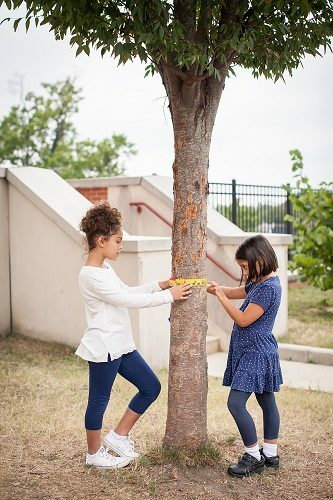 Activity 67, “How Big is Your Tree?” from PLT’s PreK-8 Environmental Education Activity Guide has many more practical examples of these calculations and their applications. Also check out the “How Big is Your Tree?” family activity page. Where “A” is the area of the circle and “r” is the radius. Where “V” is the volume of a sphere and “r” is the radius. 3. Try Pi-Ku and have your students express themselves through poetry. Poetry is a great way for students to observe, reflect, and express their thoughts and feelings about the environment. Pi Day is so fun! We mix math, pie, and nature. For more ideas on getting students interested in expressing themselves through their writing and poetry, see this PLT activity Poet-Tree. 4. Be sure to save room for pie! 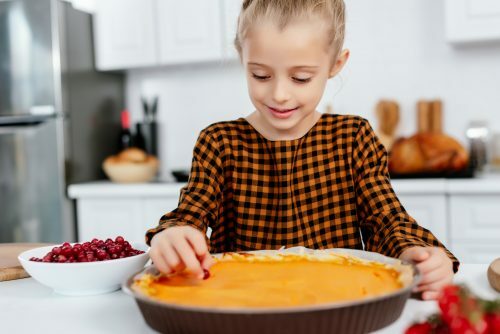 Ask your students what their favorite kind of pie is. Do they like apple, pumpkin, pecan, strawberry rhubarb, a pizza pie, or any others? Share some of their favorite pies or, if time allows, make a pie from scratch with them. Can your students name all of the ingredients used to make the pies that come from plants? Show your students how many of their favorite foods come from plants and engage them in real-world STEM learning with these ideas for PLT’s activity Pass the Plants, Please.